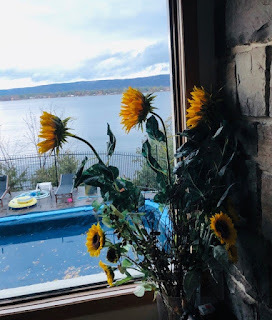 As each year approaches the year end, it has been my practice to reflect on the year that has passed. 2018 has been both challenging and rewarding for me. The beginning of the year is mostly a blur because I spent huge part of it in hospital following surgery and a stroke. What that experience has taught me is the value of slowing down, taking notice of each moment and being completely present. It provided me with an opportunity to look at life from a different perspective. AND as a result I started investigating, reading and listening to podcasts on neurology and executive functioning of the brain and how it connects with other areas of our body. I marvel at our biology and how our body is designed to survive. Our nervous system, our digestive system, our cardiovascular system; they all totally fascinate me. This learning has also changed some of my core beliefs, such as that you can get the required protein eating an exclusively plant-based diet. The more I researched it, the more evidence I uncovered that this is not entirely correct. Evidence suggests that getting the required protein you must consume so much more than greens. I am sure vegans do not want to hear this. However, each person must do what they believe is right for them, and what is right for them at a given time. I am also a firm believer in neuroplasticity; that the more you learn the more open to learning you become. After over 20 years of being a vegetarian I have returned to eating meat, wild meat that is. Interestingly, it wasn't as difficult as I thought it would be. My friend, Dr. Wortman, and member of the online community I created has written a compelling blog about his experience as a vegetarian and the reason he returned to being a meat eater. you can read it here. when I was considering doing the same I was concerned that reverting back to eating meat would be difficult, and I send Jay a note and told him I was considering going back to meet, his response to me Do it! Some positive effects I noticed early on, is that I sleep more soundly, and have more energy and - best of all - I wake up refreshed. Minor aches and pains disappeared. My memory improved, I can't say if it is related to eating meat or not, because I have been doing other things to improve my memory as well. A couple of months after being discharged from the hospital I noticed that I had some residual foggy brain periods, although in the last several weeks I feel that too has dissipated. I believe my left side neglect has also improved, which was confirmed by my physician. Studies have showed that a huge part of having quality life is to engage with others, we are after all social beings, to that end, I have created a community online using the Facebook platform. The thinking behind that for me was that I found social network platforms were superficial at best and lacking in satisfying the need for meaningful connections to others. I figured that if I wanted a deeper connection then I would have to create one to accommodate my own desire and that of others who are also searching for a deeper connection. I thought of my many friends who are critical thinkers, innovators, thought provokers, who would enjoy being engaged on an intellectual level. After identifying 40 such people I created “We Belong” and currently we have 103 members. There is a broad selection of professionals in this group, from lawyers, general physicians, MDs, authors, engineers, Buddhist monks, practicing meditators, former First Nation Chiefs, University professors, philosophers, First Nation Elders, film producers, scientists, students, life coaches, artists, counselors, nurses, occupational therapists and dentists. It has only been a couple of months since I started this community of forward-thinking people. Progress has been slow in that members are still figuring out how to behave, and how to engage one another. However, I am encouraged because I am noticing more and more that our members are opening up more and trusting each other. At one time a couple of weeks back, I thought of reducing the group down to the 20 or so members thinking it might encourage more conversations, but then I decided that it would be better to allow the process to evolve on its own. I am really excited for the possibility to have a community of engaged people who will be game changers in a major way. The possibilities for this group are unlimited. My long-term vision for the community is to collectively produce ideas and outcomes to improve society as a whole. Think big! Some of you, I know personally have already had breakthroughs and have made a difference in communities and the world: I just need you to open up and share it with the rest of us. 1. My “Superpower” is being intuitive and able to teach others to quiet their mind and meditate. I taught meditation at the local Buddhist temple in Dunrobin. Ont. for 3 years. 2. I am able to recognize others’ uniqueness and to encourage them to reveal their best self. 3. I am able to communicate in a way that makes you feel I am listened to you. My lemon tree - started from a tiny seed! 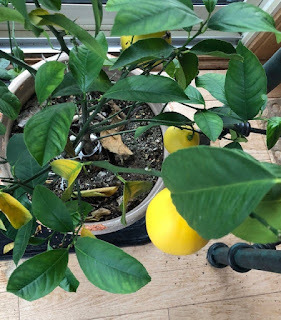 I am thrilled that my lemon tree plant, which I started from a seed from an organic lemon I bought at the grocery store, is doing well and producing fruit. It reminds me that we can start things that are tiny and with the proper care it will grow and produce fruit. Next thing you know, there is a grove of lemon trees! A week ago, I created a virtual community. First, thank you for accepting my invitation to join this community. The fact that you have said YES, tells me I made the right choice. The idea for this community came to me after listening to a podcast on social connectedness. We have an innate desire to be connected to other humans. Do you ever feel lonely within a group of people? Do you ever feel that your contribution does not matter? For some time I have been feeling disconnected on social media platforms. I really didn't feel a connection with people who were my "friends" and I decided to change that, and in order to do that, it was clear I had to change myself first. I had to be more open and engage other like-minded people. I considered the friends I had and chose specific individuals who I felt had the characteristics and personality to grow my community. I then carefully considered the first group of people to invite. Each person in the first group in my mind is a game changer and has a unique ability to show up in life for others. I knew it would be a challenge, and I do like a challenge. The challenge is that people have long established ways of behaving on social media. Some people don't like change; however for this new community to be different and engage its members on an authentic level people must want it to be involved not just passive observers. This is an exciting experiment. 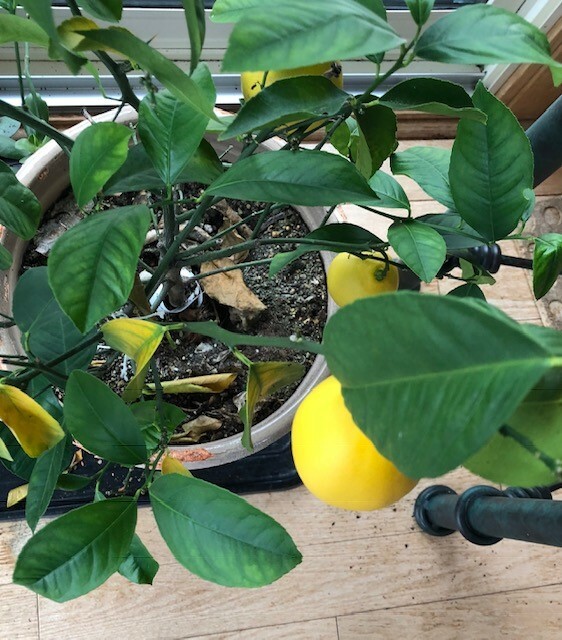 Like my lemon plant, it was started by a single seed, and the fact that you have accepted my invitation to be part of this community tells me that you do want a new experience, an engaging experience, a deeper understanding of the members in this community. Where this will lead I am not sure. Where I hope it will lead is a satisfaction that you matter to a community and that your input is valued. You may not know this but you are in the company among some pretty awesome people. I trust them implicitly. They are of the highest integrity and authenticity and come from many different backgrounds and interest. If I was shipwrecked and landed on an island I would want them there with me to build a new community. 1. Introduce yourself to the community. 2. If you invite others to join the community, really think about who they are. Do they have the characteristics and personality to add to the community? Will they be active participants? Introduce them like you would in "real life" to your friends. Let them know why you think they would be good community members. 3. Be an active participant in discussions. 4. Commit to the group, and give it the time to develop into a healthy community. The more you give, the more you will get out of it. The more satisfaction you will feel, and the more connected you will feel. I also gave a promise of what they could expect from me. 5. Be yourself, be authentic. My observation a week into this experiment is that I am going to have to give it some time because old habits are difficult to change. On Facebook we are used to watching posts go by as we live our busy lives. It is also a lot to expect of people to open up themselves to a group of strangers, even if they have been connected by someone they all know. Community member are still in the observation stage. But I am encouraged because the calibre of people in the community is there. And some good content has been posted. I will give people time to observe and get comfortable and to see if this is a community they would be proud to be part of. A few days ago, I created this group on facebook "We Belong". Some of you may be wondering what is this group about, what is the purpose of this group? first, I thank those who have joined me after I invited you. trusting me and accepting my invitation to join this group even when my intention for the group was less than clear. The idea of this group came to me after listening to Author Radha Agrawal's podcast about social connections, essentially, we as humans seek authentic social connections with others. Like you. We not only seek these connections it is important for our mental and physical health to have healthy relationships. Facebook we have been led to believe would facilitate this connection. However, we started using it more artificially. Moreover, I have found that Facebook does not meet my need FOR THIS CONNECTION AND A FEELING OF BELONGING. It appears to be designed for more superficial entertainment use. Instead of connecting us it has created more isolation and dissatisfaction in our lives. And more generally other social platforms have not found a way to engage each other instead we are having parallel conversations. Like ships passing each other in the night. I had a look at my friends and realized I have some pretty awesome friends and that began me to thinking I have a tribe. I have a community and decided to bring them altogether in one place where we can design a community that works for us. it is a social experiment. 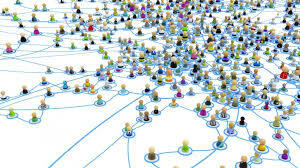 my rational for creating a virtual community is due to my frustration of social media. I have a number of groups I am the administer of. And I use other platforms like twitter, Instagram, and Snapchat. None of the platforms satisfy my need to connect. I find them pretty superficial. Each of them ends up being pretty much the same as my personal Facebook page, in that people are not engaging with me on an authentic level. Perhaps they like a certain post but often will not contribute any more than a thumbs up. People post pictures, recap travel where they've gone, where they ate, and that is all good, But I'm looking for something more I am looking for serious conversations that are inspiring and thought-provoking. Something more you. Last evening, we went for dinner with a couple of friends our dinner conversation was electrifying and engaging. We discussed youth incarceration, restorative justice, the judicial system, and whether it was helpful in reforming criminals? The overcrowded penitentiaries and the impact of those on reforming criminals. We discussed healing lodge as a mechanism for reforming criminals who committed serious offenses. We discussed the cycle of alcohol on generations, in particular how the youth are impacted by this trend. We discussed how youth are place in same prisons as harden adult criminals. Because once you were over the age of 18 you are treated as an adult and therefore will be placed with other adults. one of the examples discussed was how a stupid action while under the influence can change the trajectory of one's life. We discussed how incarceration does very little to reform a person or even deter repeat offenders. The subject is serious and impacts our society. Of course, our conversation really didn't resolve the questions, however you never know where such conversation will lead in the future as it percolates in the mind. Before we went to dinner, we had conversations on meditation, and the 25th anniversary of the Rwandan genocide. We discussed the possibility of How we can involve and include Algonquins since the symposium will be held on unseeded Algonquin territory, in the activities next spring. the schedule of specific topics would be educational and at the same time identify common ground that would engage that participants to move forward as they remember the atrocities that were committed 25 years ago. A look at colonialism and its impact on peoples. The invitation Letter I sent to a few friends. I mentioned when I first started this group that each of you was carefully considered before I added you. I was looking for a compassionate person, an intellectual, a person with varied interest, a well-read person. I was looking for people who will make this group engaging, who would be authentic and have the highest integrity in their word and ensure that whatever they post will be inclusive and respectful. I believe each of you have some of these qualities. If I am correct in my assumption that you too are dissatisfied with your experience on social media, then I made the right choice to add you to this founding group. What I would need from you is your word that you would be an active participant in the group. That you would be respectful, and kind in your responses. My promise to you is that I will facilitate and moderate the conversations and ensure that participants remain authentic, respectful, and helpful. I will ensure to keep this a safe place for sharing of ideas. Like the conversation over dinner last evening we were able to discuss some very serious topic without it degrading to personal attacks but instead added value to the overall conversation. Is this something you are interested and being part of? if yes, I am pleased to provide this forum for you. If not, - if this is too serious of a group, too intellectual, you can leave the group and I will not be offended. This is not for everyone. Because Sometimes all we really want is to be entertained and there is nothing wrong with that. My promise to you is that I will facilitate, monitor conversations to ensure participants remain authentic and keep this a safe place for everyone. How I see this working, this will only succeed if you join me with the intention to make this experience one you want and one that will satisfy your need to belong. The key to it succeeding will be directly correlated to your participation! Which is why I carefully picked the first group of people keeping in mind how each of you will respond and to set the tone for the group. I value each and every one of you in the group and your opinion matters. I want to learn from you. I want this form to facilitate learning from each other. TOPICS can be introduced by anyone, provide a short synopsis with the question. Subject areas can be identified like health, books, neurology, philosophy, spiritual, psychology, relationships, food, medicine, culture, politics, religion you can introduce any subject as long as it is respectful and not offensive to anyone. Racism and inciting hate will not be tolerated, and you will be requested to leave the group. I will make every effort to not control the dialogue, only facilitate and moderate. I, honestly I have not thought of specific details of how this will work. I do know that I want to continue my daily meditation insights which I post on Instagram, twitter and sometimes my personal Facebook page. I have received feedback from many of you who have indicated you enjoy reading them. I see the insights as setting a tone for the group daily. Having said the above, if you have any ideas of how this could work, how you want it to work, I welcome your remarks and we can design this with your input. My intention is to create a community of like-minded people who are interested in having a real connection with each other. The goal is to meet our need for real social connections. We can work out the details as we go along. At the moment there are no hard and fast rules. The experiment is to see if we can override our automatic reactions and default reactions in response to what others post. Like distrusting others, or being too shy to comment. Essentially, it is to create a new paradigm, a shift in how we relate on social media. This is a social experiment and I have no idea if it will work, or if this is the right platform, And, I am interested to see where it will go. If I find it is not working, I will let you know before I delete the group. In my tribe we have CEO’s, lawyers, doctors. Artist, Indigenous elders, professors of law, and social work. indigenous leaders, authors, people who participate at the UN on human rights. Students, Environmentalists, people who are concerned about the impact of our actions on the environment. And, in a word, game changers, innovators, thought provoker's, some of you I known personally, and we connect on many levels, we have shared a meal, tea, and pleasant conversations. I like the idea of having you all meet each other for this experiment, and we will see where this leads us. Welcome to my tribe! The first questions for the group is if you were in charge of the world what type of community you would create, keep in mind that this is a virtual community and at the moment we have members from all over the globe. In this group, I would hope that members would feel comfortable meeting each other in the real world. what would your values and goals be? Who would you invite?